Visual Watermark is photo watermarking software for digital photo protection. This photo watermark software places very strong watermarks that no one can remove. Your digital photos will be effectively protected from unauthorized use. It is useful for everyone who wants to protect their photos. Protect photo independent of their format - Visual Watermark will process them all. Create watermarks out of graphics, text and EXIF values. And more.. 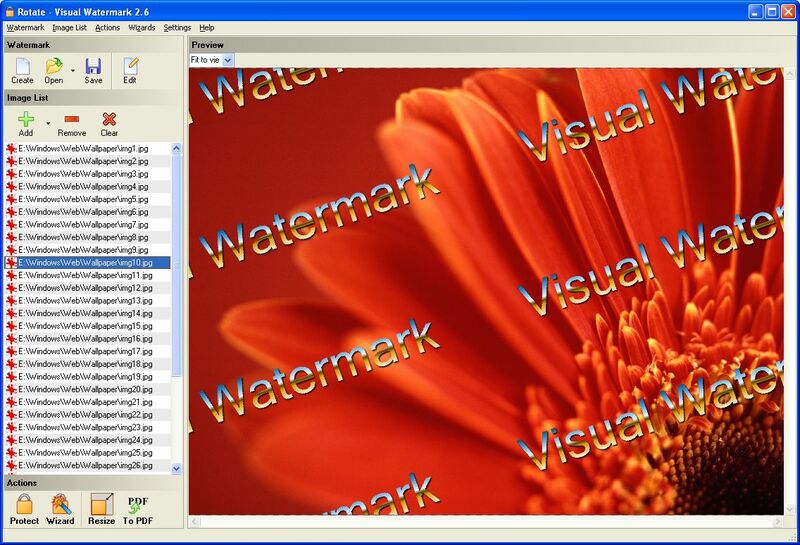 Visual Watermark is photo watermarking software for digital photo protection. * Protect photo independent of their format - Visual Watermark will process them all. * Watermark portrait, landscape and cropped photos at once! Visual Watermark software recognizes disparity between photo sizes and transforms watermark accordingly. Your watermark will be down-scaled to prevent a crop on smaller photos automatically and scaled-up for bigger photos. Qweas is providing links to Visual Watermark Software 2012 as a courtesy, and makes no representations regarding Visual Watermark Software or any other applications or any information related thereto. Any questions, complaints or claims regarding this application Visual Watermark Software 2012 must be directed to the appropriate software vendor. You may click the publisher link of Visual Watermark Software on the top of this page to get more details about the vendor.